Federal Regulations Part 50. 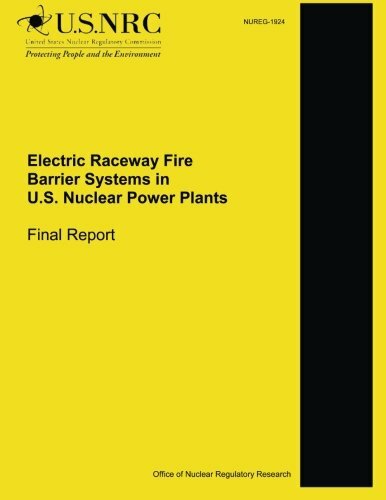 To support fire protection defense-in-depth 1- or 3-hour electric raceway fire barrier systems (ERFBS) were permitted for use as an acceptable method to protect electrical cables essential to fire protection safe shutdown capability. However, ERFBS were a new approach to fire barrier applications and as the initial installation of the ERFBS began, there was uncertainty regarding the ERFBS performance and definitive test standards for ERFBS qualification. Following review and research efforts, NRC resolved many concerns with ERFBS, including the fire resistance, ampacity derating, and seismic position retention. This report documents the history of various ERFBS and how U.S. commercial nuclear power plants use ERFBS for compliance. This report also documents the current state of the use of ERFBS and evaluates the effectiveness of these barriers in achieving adequate protection for nuclear power plants.